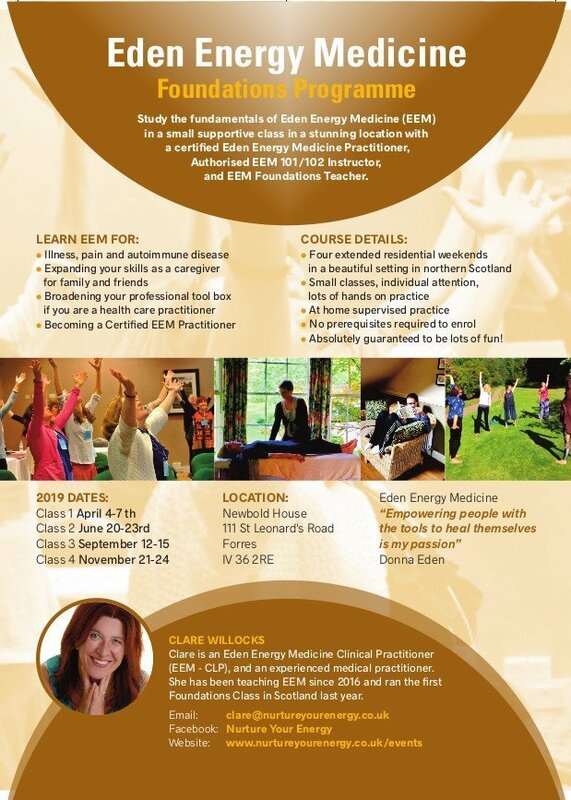 Clare is a certified trainer for the Basics in Energy Medicine, EEM 101 and 102, as well as an Eden Energy Medicine Clinical Practitioner, and is now offering training in the EEM Foundations Classes. 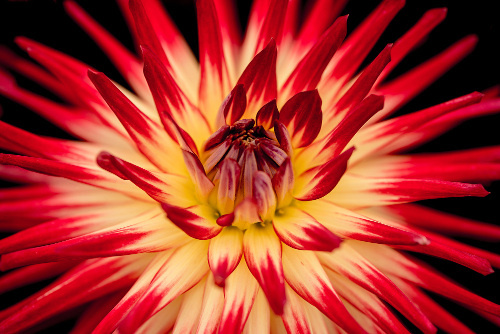 Please click here for more details. 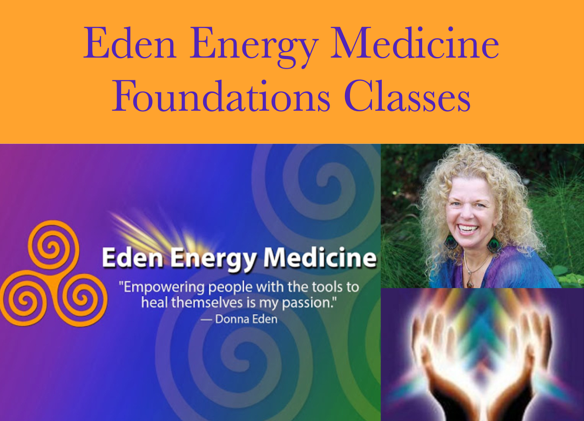 For more details on my Foundations Classes, click here. 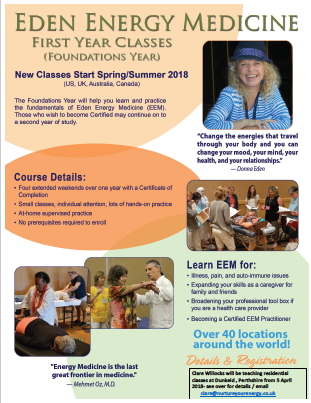 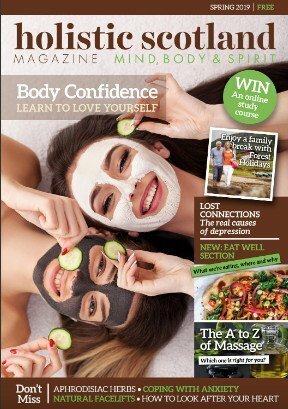 Click here for Spring 2019 issue. 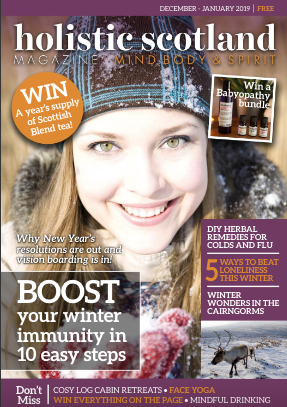 Click here for Dec/Jan 2019 issue. 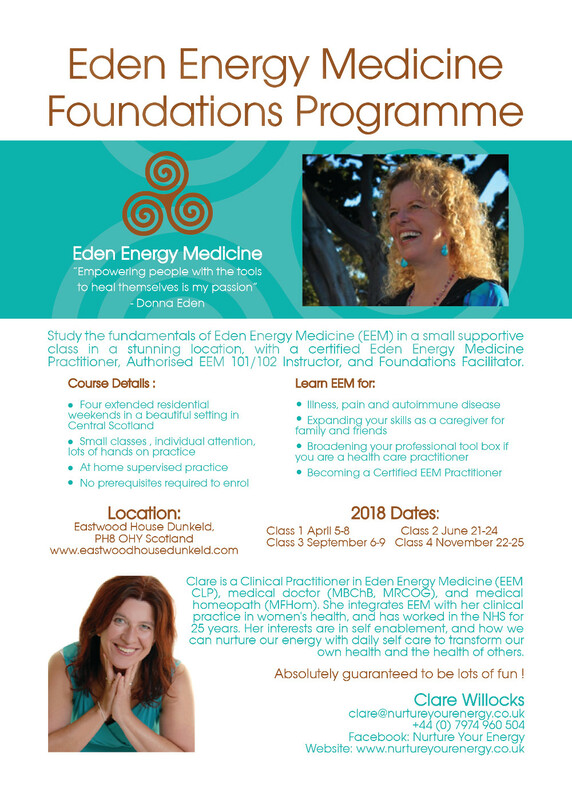 For more details on my Foundations Classes, please download my flyers.